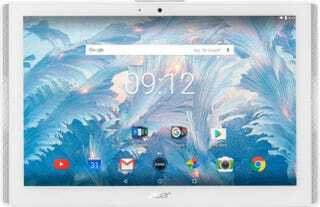 I recently purchased am Acer Chromebook for my HS freshman son, and I was thinking about an Android tablet for my younger sons to help mollify them. I have zero experience with Android, but did have a long chat with a knowledgable employee at Best Buy (a rarity, to be sure). We talked at some length about the different flavors of Android OS, and what seems to me to be a built-in obsolescence to the OS. Apps that were developed for one Android OS will not necessarily work on newer versions. The tablet I’m looking at has Nougat, which, as I understand, is the latest version. And, at $99, the price is right. Should I be concerned about the future of this tablet? I need it to last at least three years.